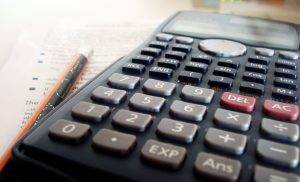 Whether you are preparing for a Statistics Exam or you are in business and need to figure out the sum of items, a calculator is an invaluable tool. Casio began as a calculator developer before delving into other electronic equipment. It has a sound footing in the manufacturing of calculators from scientific models to graphing, and engineering calculators. A Casio calculator can make such a huge difference in your life. First, you’ll be buying from a brand that has been in this industry for decades. The functions cover a wide array of applications. From arithmetic operations, engineering notations, and metric conversions, you’ll have every feature you need. To get the best Casio Calculator, you’ll want to know the purpose to which you want to own a Calculator. We’ve compiled five of the Best Casio Calculators ’2019’ to cover a variety of applications. What is the Best Casio Calculators in April, 2019? Casio PRIZM FX-CG-50-L-IH 10 + 2 Over 2900 4 AAA Batteries 3D Graph, Color display, Natural textbook display ⭐️⭐️⭐️⭐️⭐️ Check our Review! 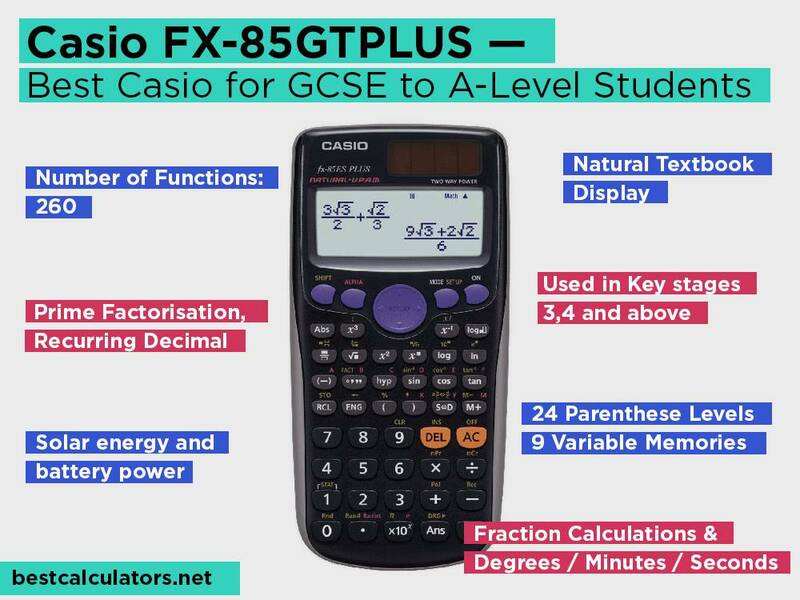 Casio FX-85GTPLUS 10 + 2 260 Solar and Battery Natural textbook display, Prime Factorisation, Recurring Decimal and Verify ⭐️⭐️⭐️⭐️⭐️ Check our Review! Casio FX-350MS 10 + 2 240 LR44 × 1 Battery Multi-replay, S-V.P.A.M., STAT-data editor ⭐️⭐️⭐️⭐️ Check our Review! 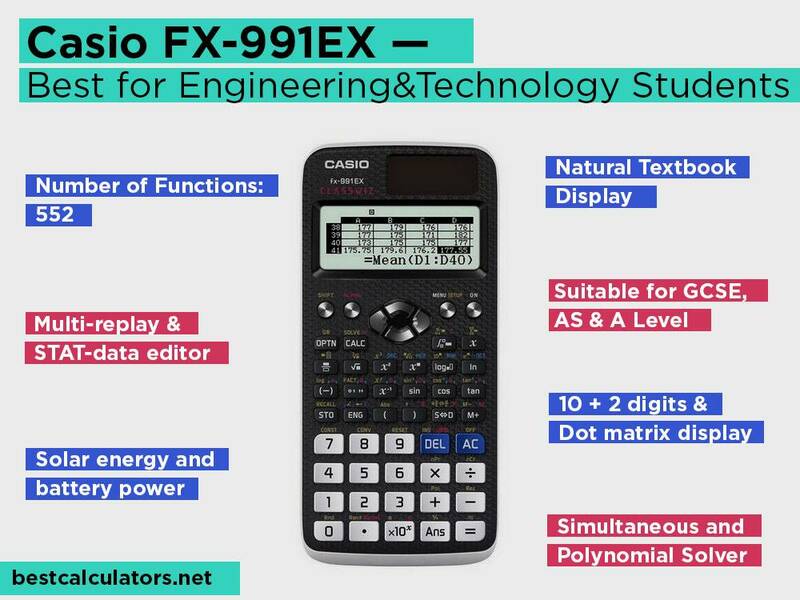 Casio FX-991EX 10 + 2 552 Solar and Battery Natural textbook display, Multi-replay, List based STAT-data editor ⭐️⭐️⭐️⭐️ Check our Review! 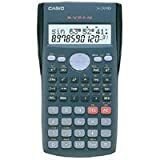 Casio MS-80B 8 Function command signs, Tax & exchange function, Profit margin percent Solar and Battery Durable metal Faceplate, Key rollover ⭐️⭐️⭐️⭐️ Check our Review! 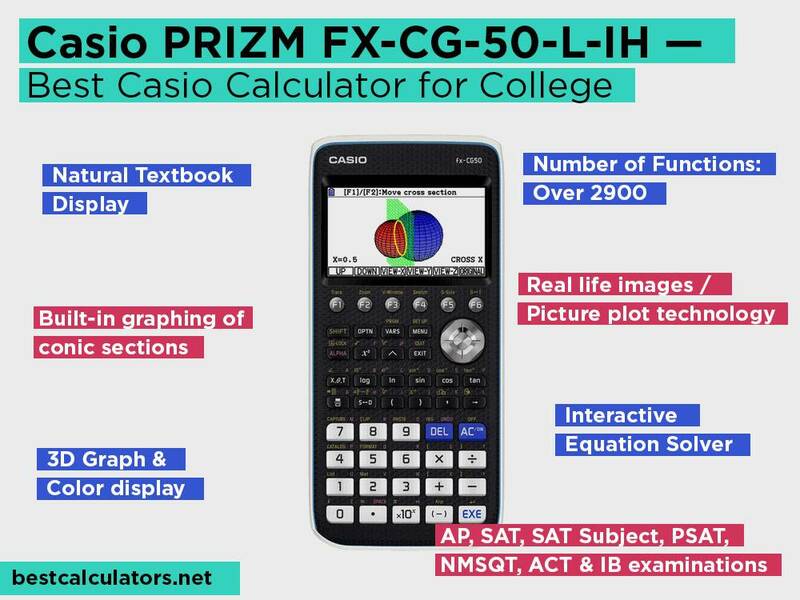 The Casio PRIZM FX-CG-50-L-IH is one of the best graphing calculator for college students who are just starting their courses.It boasts a slim design which you’ll be able to stow away in your backpack or purse. It also has negligible weight meaning it will never be a bother when you are carrying heavy textbooks. It will be of great use for Pre-Algebra, Algebra I & II, Chemistry, Physics, AP Calculus, Trigonometry, AP Statistics, Geometry, and Business & Finance. This calculator features a textbook display. It allows you to dial in numbers in their correct notation. This means they will appear as they do in your textbook or as the teacher writes them on the board. It gives you a sound understanding of the formula so that you can perform better in Math and Science Classes. Casio Graphing Calculator has 65,000 color choices. It gives you Math in full color, making it easy to visualize concepts. It has a large display that allows you to graph multiple equations. This helps you to compare problems while finding solutions. It boasts a sharp and crisp viewing experience which is one of its selling points. 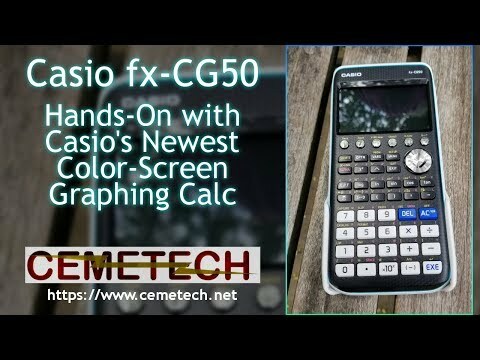 The Casio CG-50 integrates many useful applications among them picture plot technology. It is a technique where you can add real-life images and overlay graphs on them so that you can relate a problem to the real-life situation it solves. The calculator has 3D dimensional graphing to help students look at a graph from all angles. This means you’ll never miss something when the tutor explains a particular graph. It also has an improved catalog function which gives your better involvement in applying mathematics to life. 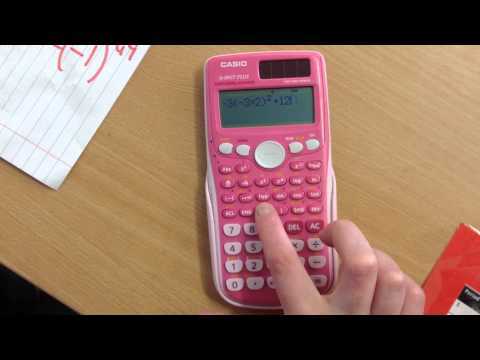 A must-have for schools and students, the Casio FX 85GTPLUS is an incredible model.It comes with a slide-on cover, and it is available in pink and blue to suit your tastes and preferences. The calculator has 260 functions. It’s just what we could expect in a calculator for Mid-School Students. The small size is clear indication you’ll never have to be bothered about its weight. This calculator displays formulas and functions like they would in your textbook. It makes it easy for students to understand the answer since you can follow and familiarize with the process. This goes for such expressions like power and root, so you never have to wonder where some formulas appeared from. Comprehension becomes smooth and your classes more enjoyable. Batteries and solar energy power this calculator. It will be very long before you ever require changing the battery. It is designed to use the sun’s energy during the day, and it uses batteries in low-lit environments and when the weather does not favor solar power usage. The Casio FX 85GTPlus does not compromise on the functions. It is an excellent tool for high school students as it helps in solving their kind of Math problems. This includes such calculations as square root, simplifying fractions, performing trigonometric functions, and displaying of numbers in scientific notation. It also has new functions like the recurring decimal, verify and prime factorization. This calculator can handle falls from high places. It comes with a hard plastic cover to protect it whenever it’s not in use. You will like that it uses rugged pads that are unlikely to break or lose color after years of use. It is a remarkable calculator that’s great for playful pupils since it won’t be coming apart any time soon. Although this is not a graphing calculator, you can perform a series of calculations on the screen. It provides you with a large LCD screen. Numbers can quickly be seen, and you can edit and make changes as you’d like. It is an all-around calculator for pupils dealing with advanced High School Math and Science. As always we always expect Casio calculators to be accurate and functional. 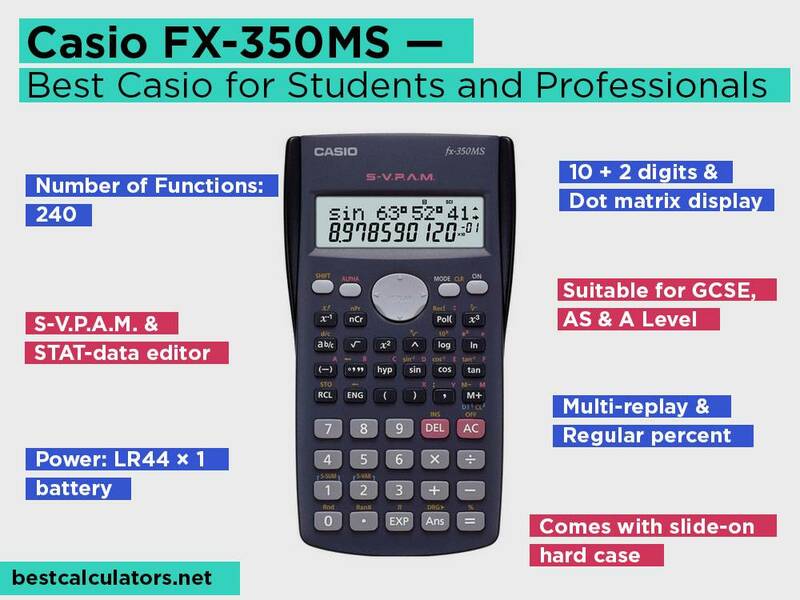 The Casio FX-350MS is one of the most by students in Mid-School. It is a 12-digit calculator offering users the best operation for math calculations. It also has a 2-line display which helps students understand answers betters. You will notice that this calculator has a plastic construction. It is sturdy, and the buttons are easy to push. Most people like the plastic cover since it can slide under the calculator. This device has limited resolution. As such, Casio uses the DOT Matrix display to make it easier to see text and numbers. It is an interesting feature since it uses an LCD which has passive light modulators. The numbers are big meaning you don’t need to look too close when performing fast calculations. This calculator is designed to handle statistics. It will be useful in regression analysis, standard deviation, STAT-data editor, and over 230 more functions. The calculator has a natural display popularly known as S.V.P.A.M (Super Visually Perfect Algebraic Method). You’ll like that it uses a 2 level display. It features matrix cells on the top layer and 7-segment LCD on the bottom line. It uses infix notation to input numbers. This is where you can input calculations precisely as they are written. It functions according to your precedence making it simpler to understand your calculations. This calculator allows you to take a step back and understand how a specific problem was solved. With the STAT-data function, you can back-step to view your entries. This gives you a chance to correct a mistake in case you missed a step in the calculation process. It also has a multi-replay function which allows you to store a formula for recall and re-execution. Solving math problems has always been difficult for lots of people. It’s much of a challenge if you have to cram many formulas. But with the help of the Casio FX-991EX, you can start enjoying Math as a subject that offers real-life problem-solving applications. You’ll like using this calculator if you want one for basic to advanced mathematics. This calculator comes with interactive operations. They make it easy to use the buttons of this calculator. The textbook based display allows simple use of this scientific calculator. It can display decimals, fractions, roots, logarithms, and many other formulas like they appear in your textbook. 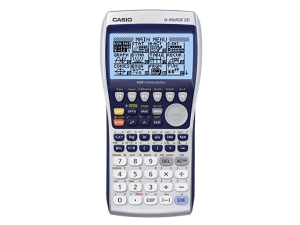 Casio FX-991EX has simple strokes with visualized formulas to make calculations faster. It is best if you have an exam that requires lots of work but you don’t have time to input every formula. 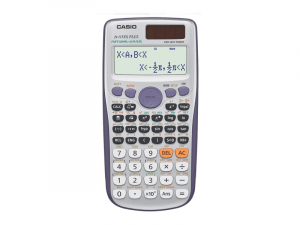 Complex mathematical calculations are made simple just by using the Casio FX-991EX. 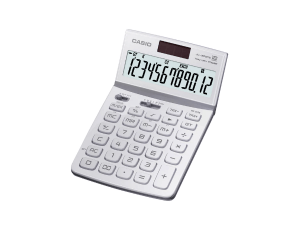 It takes advantage of display capabilities that were not possible with other previous Casio calculators. This calculator has the functions to support a student’s learning from the basic to advanced high school, and tertiary levels. With the spreadsheet function, you can solve statistics problems which form a major part of math calculations. The recursion function allows you to enter recursive formulas while Riemann integral makes Riemann functions possible. Casio FX-991EX has an icon-based menu. It makes viewing normal such you can select the desired button fast and easy. Not to mention, statistical calculations and variables can be displayed in lists. English messages are displayed unabbreviated for more interactive operations. 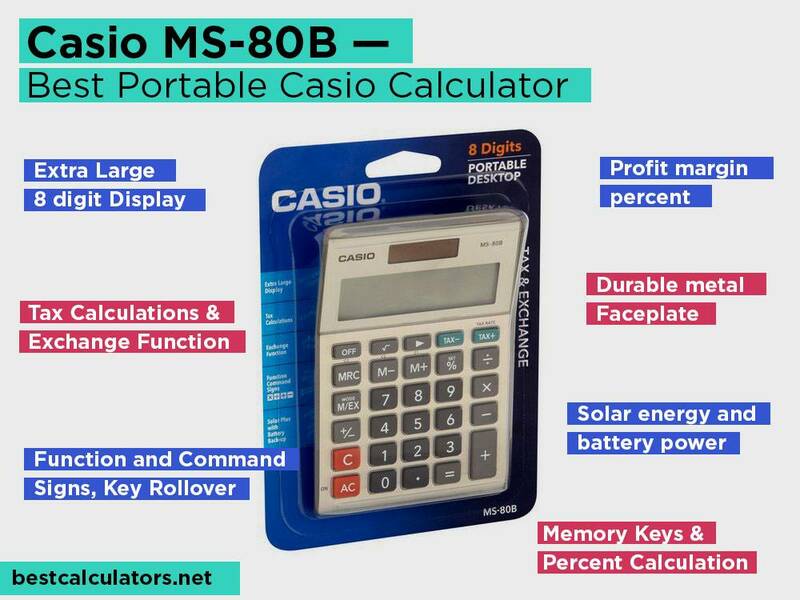 The Casio MS-80B is compact enough to fit in your briefcase or on your desktop, but large enough to view numbers. It features an 8-digit display with big buttons. If you are a business person who needs a calculator for currency conversion, tax calculations, or budgeting calculations, you will be able to find answers fast and easy. This calculator comes in a convenient size that you can easily slip in your pocket. It weighs only 5.6 ounces so it can practically go anywhere. The screen is angled such that entering numbers is simple. You can share your solutions with others, and the large numbers allow fast typing even when you are in a hurry. The Casio MS-80B is powered by solar energy and battery power. It is useful both day and night and you’ll never have to replace a battery. The solar power works in dim light, but you’ll have the battery power as a backup. It even has an auto shut off feature that ensures the device does not lose power when it’s not in use. This calculator features independent memory function. It allows you to subtract or add values from the independent memory. This means you’ll be able to use these values later in your calculations. It also has a key rollover feature that ensures you don’t lose anything during fast calculations. This is a great portable calculator. Anyone who needs a calculator can find some good use in this model. From the seniors to people in business; it has user-friendly features, and the price is a total steal. 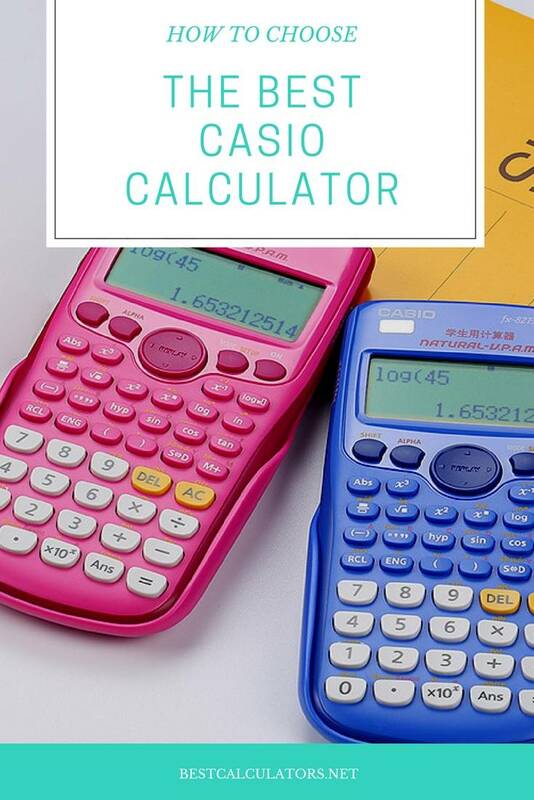 Casio calculators are recommended for use in business, schools, and personal use. As you head out to pick your new Casio calculator, here are a few things to keep in mind. Very Functional. Casio calculators are loved for the functions they bring to the table. Whether you want one to sit the SATs, or are just starting your high school statistics classes, you’ll find a Casio calculator for the task. The different designs range from graphing to scientific, technical, and standard desktop calculators. Textbook Display. 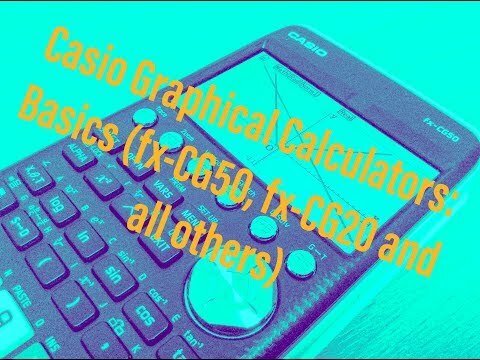 If you need to see calculations as they are in a textbook, Casio graphic and scientific calculators fit the bill. You can easily visualize your work and relate to the concepts as the teacher explains them with the help of these calculators. Powerful and Fast Calculation Tools. Speed is not a problem with a Casio calculator. They can crunch numbers and give responses in a cinch. They can do regular stuff and complex calculations with the same power and speed. Reliable Power Sources. Most Casio calculators are operated by solar power and backed up by battery power. Solar is more environment-friendly and cost-effective. These are calculators that won’t let you down during an exam. It can create over-reliability on the calculator. When students start using their calculator in the first stages of Math learning, you may begin to rely on the calculator such that it becomes hard to tackle simple math. How to put Casio Calculator in degree or radian mode? – Your calculator will display the current angle mode by displaying wither D or DEG for degree. If it’s either R or RAD for radian, or G or GRA for Grad, you can change that by. Press the (MODE) button; it will help you cycle through the display until the angle mode selection screen appears. Now input the angle mode according to the corresponding number it appears. How to make Casio calculator show decimals? – If you want answers to show in decimals instead or fractions; turn on the calculator, press SHIFT, press MODE and then press 2 to select LineIO. How to clear Casio calculator? – You may be getting ready for an exam and need your calculator to clear the memory, mode, or everything. Press shift + Mode. It will give you MCL (press1), Mode (Press 2), All (Press 3). Press 1 to clear memory, 2 to clear mode, and 3 to reset all. 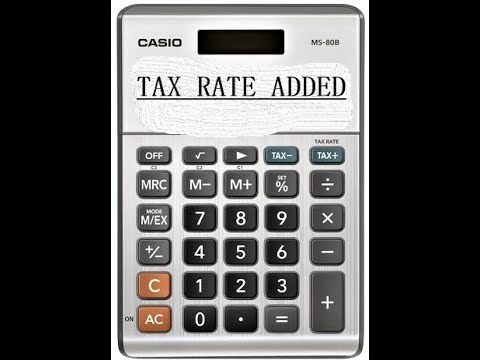 All Casio calculators are warranted by Casio and its distributors against defects in material and craftsmanship for one year. The warranty does not cover the battery and the case. You should show proof of purchase for a guarantee to be approved. Standard Function Calculator (JV-220, JF-100BM). These are calculators designed for office and home use. They are excellent for primary school levels of education. These models feature a large display with 8 or 10 digit options. They also have a range of features from basic to extensive. 12 Digit Casio Calculators (JS-20TS, JW-200TW). These calculators mostly favor office operations where users need an angled display to share input and solutions with other staff members. The 12 digit option includes Tax and Exchange plus profit margin % to give fast access to profits and prices. They have a durable metal faceplate for daily use. Graphing calculator (FX 9750GII, FX-9860GII SD). These are models designed for graphics, graphs, and advanced formulas. They feature large LCD screens to increase visibility and allow plotting of multiple graphs. They have a fast processing speed, natural display, natural input, dynamic graphing, etc. They are best for college students doing advanced Math, Engineering, and Business courses. Scientific calculator (FX-115ESPLUS). This is an advanced scientific calculator with 280 functions. It can tackle fractions and statistics with no problem. It is a good choice for High School and College students for General Math, Physics, Trigonometry, Algebra I & II, Engineering, and Calculus. Printing Calculator (HR-100TM, HR-8TM). These are portable models designed to fulfill your on-the-go accounting needs. They offer a sizeable 12-digit display with 1.6 lines per second speed. They make quick work of margin, cost, and selling price calculations. Sharp and Casio have nearly the same functions in their calculators. This is in terms of summation, numerical integration, everyday functions, and speed. But with the coming of the Casio FX115ES PLUS, we see a better Casio Scientific Calculator. It is sturdier and more compact than Sharp’s EL-W516B. The processor is up to 15% faster, and the physical constants are updated. 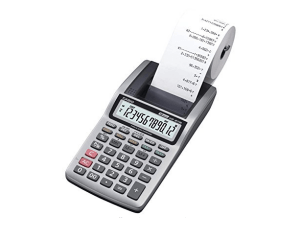 Canon scientific calculators are known to offer more functions than Casio scientific models. But Canon is small on display and, the prices are not exactly affordable. A Canon may have many functions, but it’s not better if you are going to struggle while reading the results. Both of these companies have calculators for similar target audiences. Depending on the calculator you pick, the prices will differ distinctively. 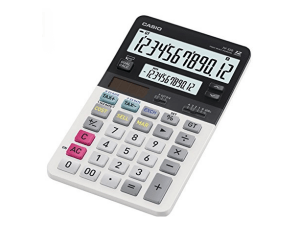 Casio offers user-friendly features with the best possible price on their calculator. On the other hand, Texas Instruments are reliable for graphing calculators, but the prices are quite high compared to a Casio. We’ve gone through some of the best Casio Calculators this brand has to offer. It is apparent that Casio is a reliable brand seeing that it has been here for decades. If you want a Casio Calculator for High School, College, work, or home use, one of these models will be great for you. A Casio Calculator is always an affordable investment. They don’t skimp on features, and they are big on functionality. Go on and get yours today. My first calculator was Casio fx-98. I last about 5 years. just need to change the battery. Their calculators are really a long lasting one. Best review ever. Thanks for sharing such an informative review. can you suggest me some models in $30-$35?